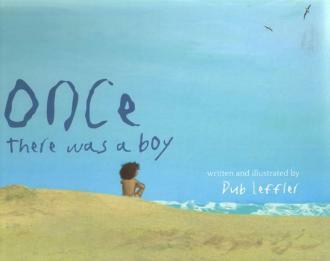 Once there was a boy is a universal story of friendship, temptation and reconciliation. This whimsical picture book is the touching story of a little boy with a broken heart who meets a young girl who shares his secret. The timeless and elegant tale is transformed into a beautiful grown-up story by the use of sophisticated analogies, such as the heart as love or friendship and the sapotes as forbidden fruit. 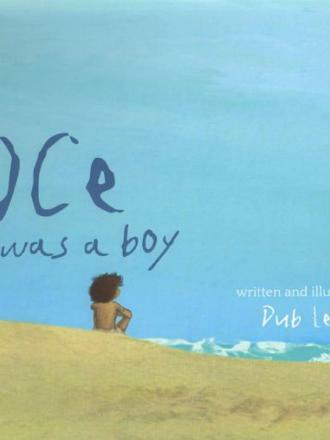 With disarmingly innocent language, once there was a boy belies an emotional depth that allows the author to reach out to both the young, and the young at heart. The author, Dub (David) Leffler is one of thirteen children and grew up in the small town of Quirindi, south of Tamworth in New South Wales. He is descended from the Bigambul and Mandandanji people of south-west Queensland. Dub began his visual arts career as an animator and has worked as a muralist and art teacher. He has illustrated several children’s books and has collaborated with internationally recognised illustrators such as Colin Thompson, Shaun Tan and Banksy. This is the first book that Dub has written and illustrated.